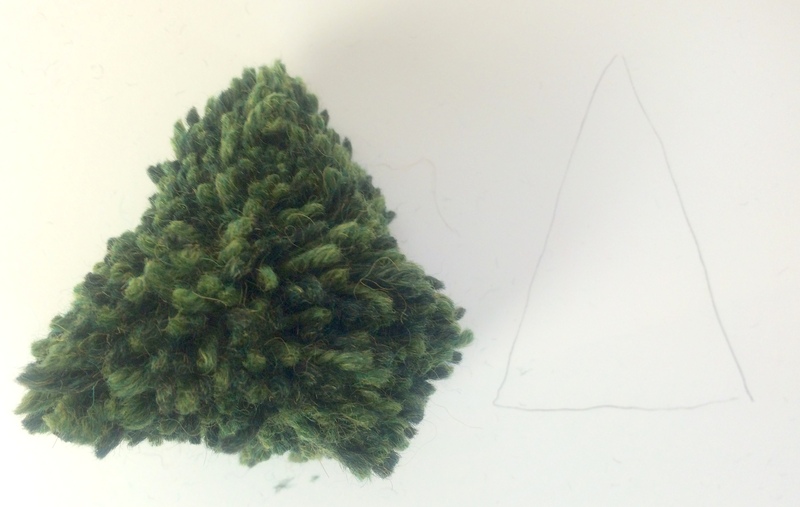 Emily Explains: How To Make Holiday Trees! December has flown by with work, friends and creative projects. I love the holidays so much, but this year I haven’t had the time to decorate my home. I didn’t even get around to finding the perfect tree until late last night. I got home from a long day of work and holiday worries and knew a Christmas tree was just the thing to lift my spirits. My boyfriend and I brought it home and decorated it. 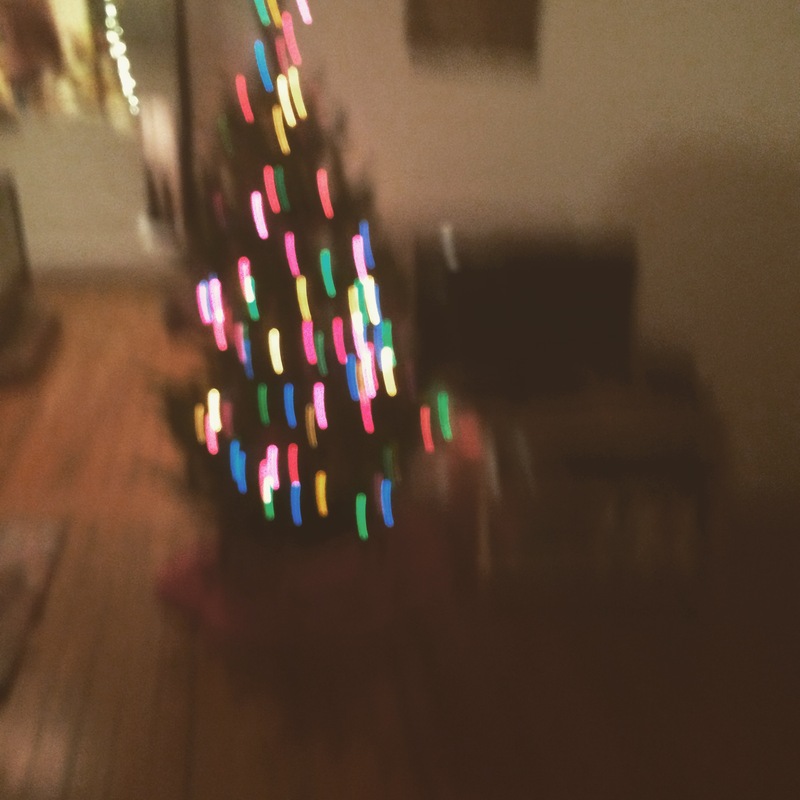 Our tree is perfect, smelling of fresh pine and sparkling with colorful, twinkling lights. 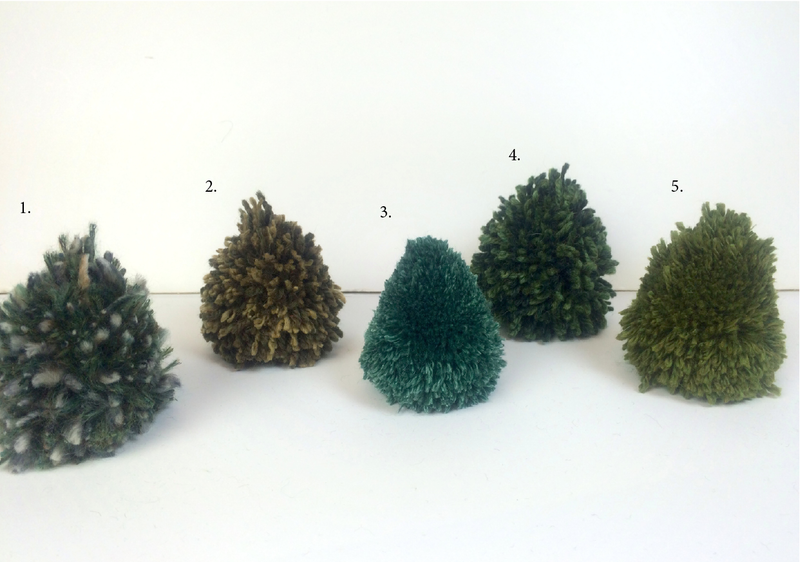 The girls in the design office and I believe you can never have enough trees at the holiday time so today I found myself sitting at my desk perfecting how to make miniature trees. 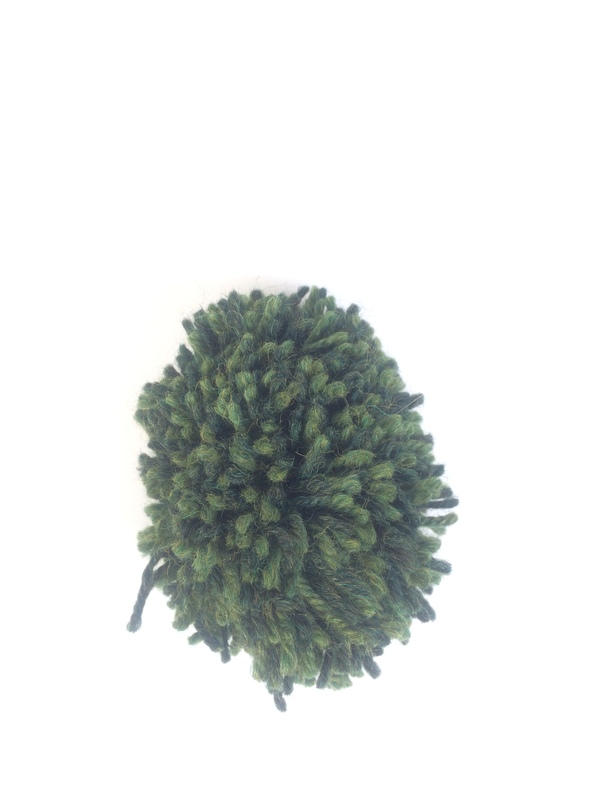 First I used a pom-pom maker to create a medium sized pom-pom. 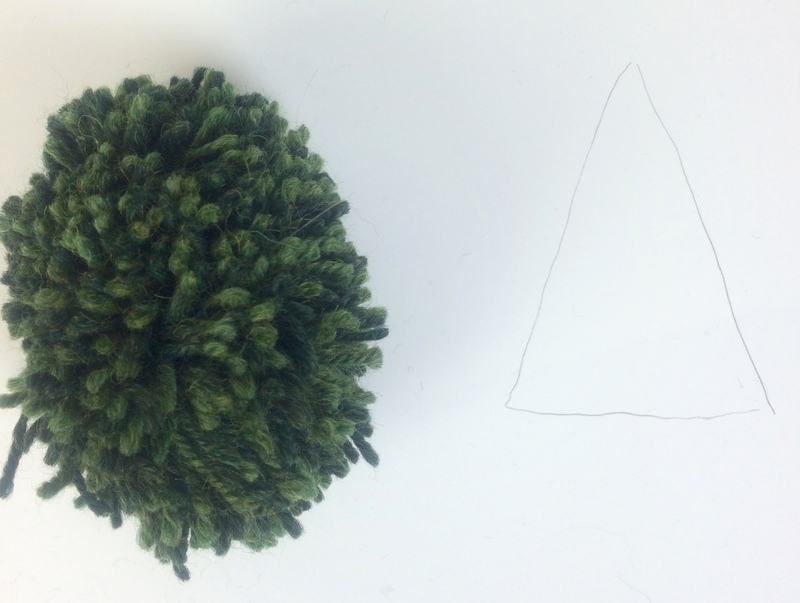 Not sure how-to make a pom-pom? See how here. 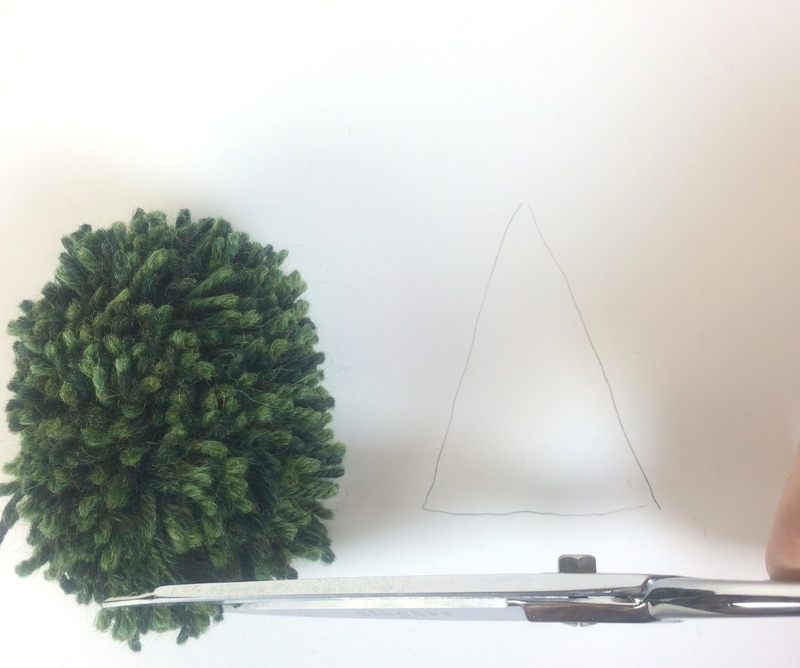 Then I trim my pom-pom in the shape of a cone. 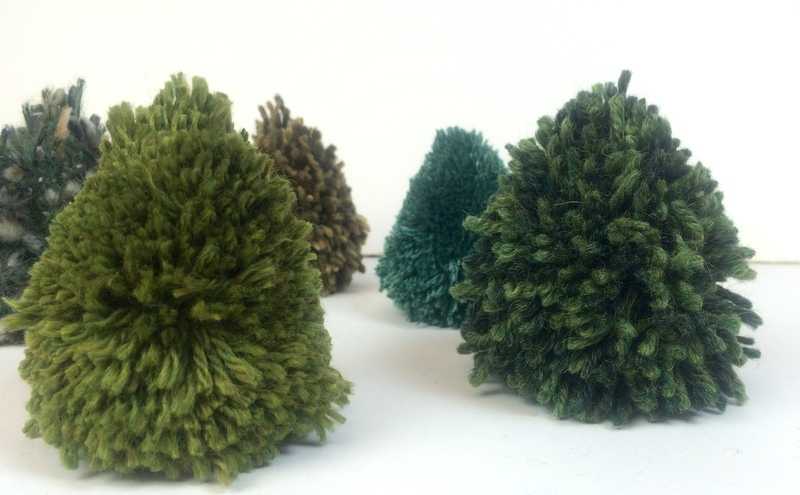 Cut the bottom part of the pom-pom flat to create the base of your tree. Then cut at an angle towards the top middle. 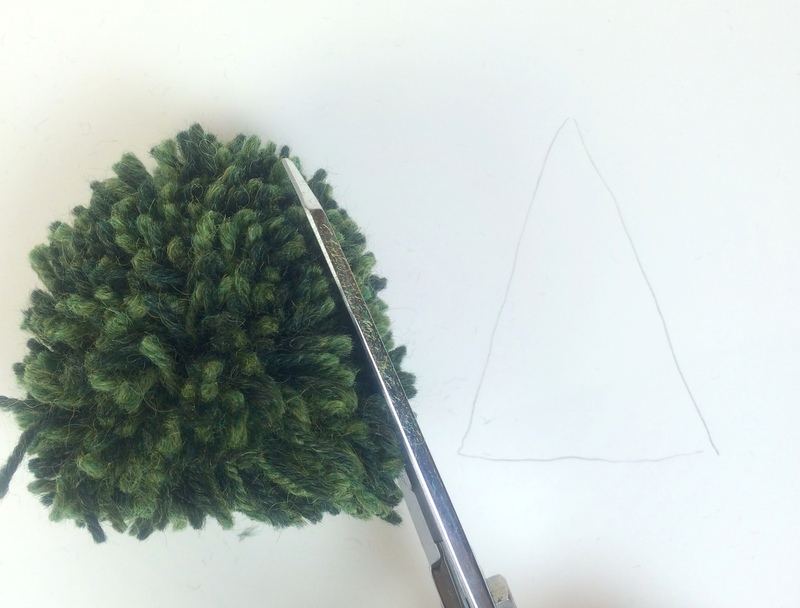 Slowly turn your pom-pom while cutting so you form a cone shape. Your pom-pom will be wider at the bottom than at the top. When your done trimming your pom-pom you will have a little tree. Perfect for a place setting or a little gift during the holidays. Have fun decorating with your little trees! I think I’ll use mine as place settings for the holidays. That would be magical! I would even do this on a snow day for something fun and cozy to do.